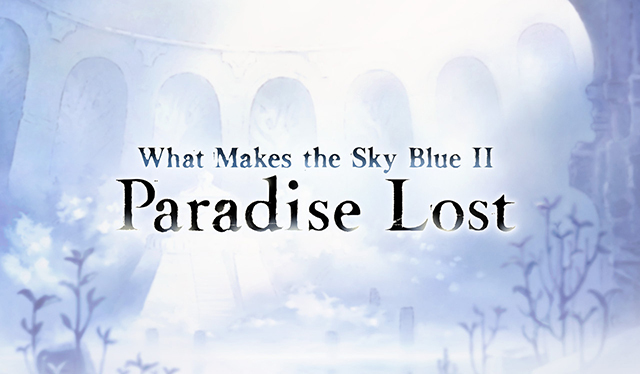 What Makes the Sky Blue II: Paradise Lost is a side story which became available on March 10, 2019. 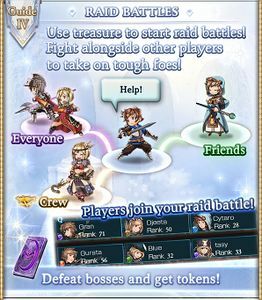 It commemorates the 4th Birthday of Granblue Fantasy. It is unlocked after completing What Makes the Sky Blue. Quest progression from the February 2019 iteration of this event carries on to this side story. 1.2 "Which summon should I get?" relish in the halcyon days that follow. causing primal beasts to run amok. mysterious twin archangels appear before them. Canaan, a land said to be unreachable. 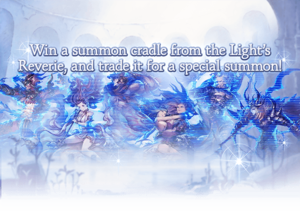 by two thousand years of archangel history.
. As such, it is an excellent choice for a Light EX weapon, especially for players who do not plan or have no means to obtain a True Purity Sunblade in the near future. A recommended keeper for new players, and obtaining it should be a priority. 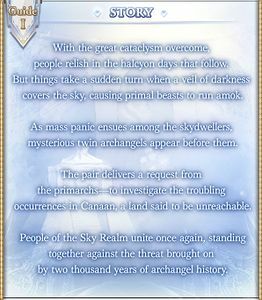 Sandalphon (Summon) is an unusually strong event summon if fully uncapped, as well as the first event summon to have a sub aura effect. Recommended to keep for newer players. 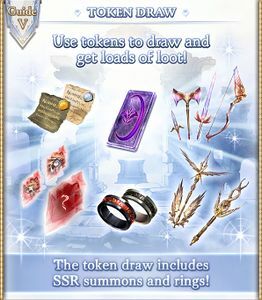 "Which summon should I get?" 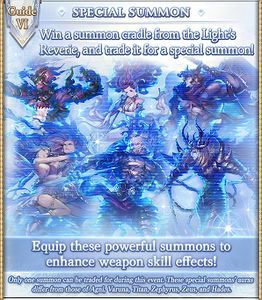 Much like What Makes the Sky Blue before it, Paradise Lost provides a remarkable chance for players, new and old, to obtain a 0★ Normal-boosting "Optimus" summon. This free version provides a slightly weaker weapon skill multiplier than the Premium Draw version - 110% vs. 120% at 3★. This still offers players, especially new ones, an excellent chance to increase their power or expand their options for play. Alternatively, players may pick a Sunlight Stone to use for a different summon altogether. 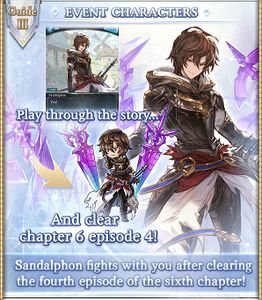 Sandalphon (Event) joins you after Chapter 6.
rely on the Singularity and their crew so much? weren't they a big help during that cataclysm? Lady Michael says, then that must be the case. Hey, look what popped up! How nostalgic... If we have time, I wanna go sightseeing! What Makes the Sky Blue II"
This event features many characters and terminology based on various real-world religions and mythologies. Paradise Lost is an epic poem by the 17th-century English poet John Milton. The poem concerns the biblical story of the Fall of Man: the temptation of Adam and Eve by the fallen angel Satan and their expulsion from the Garden of Eden. Sandalphon is an archangel in Jewish and Christian writings. Some sources describe him as the "twin brother" of Metatron, whose human origin as Enoch was similar to the human origin of Sandalphon. Sandalphon's charge attack, Ain Soph Aur (correct spelling is "Ohr Ein Sof") is Hebrew for "infinite light". It is an important concept in Jewish Kabbalah mysticism, as the essential emanation of and from God, "Ein Sof", from which the spheres of human understanding and experience (the sefirot) originate. Metatron is an archangel in Judaism and known in Judaism as the Recording Angel or the Chancellor of Heaven. According to Jewish apocrypha, Metatron is the name Enoch received after his transformation into an angel. Pleiades, one of Metatron's charge attacks, refers to the seven daughters of the titan Atlas and the sea-nymph Pleione in Greek mythology. Lucifer comes from the Latin meaning 'light-bearer' or 'light-giver'. Lucifer is a name often associated with the Devil of Christian mythology and with the planet Venus when appearing as the morning star. 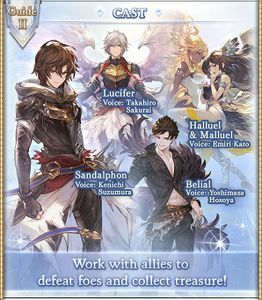 Granblue Fantasy's interpretation of Lucifer may be loosely based on Lucifer from Dante's Inferno. In Inferno, Lucifer was formerly the Angel of Light and once tried to usurp the power of God. As punishment, God banished Lucifer out of Heaven to an eternity in Hell as the ultimate sinner. Belial is a term occurring in the Hebrew Bible which later became personified as the devil in Jewish and Christian texts. The demon of lies, he was acknowledged in the Bible as a source of great evil, and even as the lord of all demons. Some apocrypha declare that Belial was created next to Lucifer, and that he was a king of Hell governing 80 Infernal Legions. Others credit Belial as being the father of Lucifer and the angel that convinced him to wage a rebellion in Heaven against God, and that as such he was the first of the fallen angels to be expelled. Bartholomew refers to the Gospel of Bartholomew, in which Belial is labeled as the demon of lawlessness. Goetia or Goëtia is a practice that includes the conjuration of demons, specifically the ones summoned by the Biblical figure, King Solomon. Anagenesis is an evolutionary pattern defined by a gradual change that occurs in a species without the need for splitting. Avatar's appearance is based on the design of the summon stone Satan, but with notably more pairs of wings and standing further upright. Satan is a generally malevolent figure in the Abrahamic religions who seeks to seduce humans into falsehood and sin. In earlier Hebrew and Judaic traditions, he takes a role similar to YHVH's "prosecuting attorney", being the denouncer and scourge of evil and sin and acting as the adversary to those who have been found wanting (the word haSatan in old Hebrew meaning most literally "the adversary" and being a role in Hebrew courts); in later Christian and Islamic tradition, he was conflated with the serpent in the Garden of Eden who tempted Eve and introduced original sin to the world, and thus became the anthropomorphic personification of evil and all that is hostile to God and His will. Daedalus is a mythical Greek inventor, architect, and sculptor, who was said to have built, among other things, the paradigmatic Labyrinth for King Minos of Crete. He is the father of Icarus. Beelzebub or Beelzebul is a name derived from a Philistine god, formerly worshiped in Ekron, and later adopted by some Abrahamic religions as a given name to a major demon. The name Beelzebub is associated with the Canaanite god Baal. In theological sources, predominately Christian, Beelzebub is sometimes another name for the Devil, similar to Satan. He is known in demonology as one of the seven princes of Hell. The Dictionnaire Infernal describes Beelzebub as a being capable of flying, known as the "Lord of the Flyers", or the "Lord of the Flies". Canaan was a Semitic-speaking region in the Ancient Near East during the late 2nd millennium BC. The name Canaan occurs commonly in the Bible, where it provides the main setting of the narrative of the Bible (the area of Phoenicia, Philistia, Israel and other nations). Halluel and Malluel are based on Harut and Marut, two angels mentioned in the second surah of the Quran, who were present during the reign of Solomon. The Quran indicates that they were a trial for the people and through them the people were tested with sorcery. The names are probably etymologically related to Haurvatat and Ameretat, two Zoroastrian archangels.